A complete antivirus comes from the hand of the Asian giant Baidu; Try and you will get amazing results. 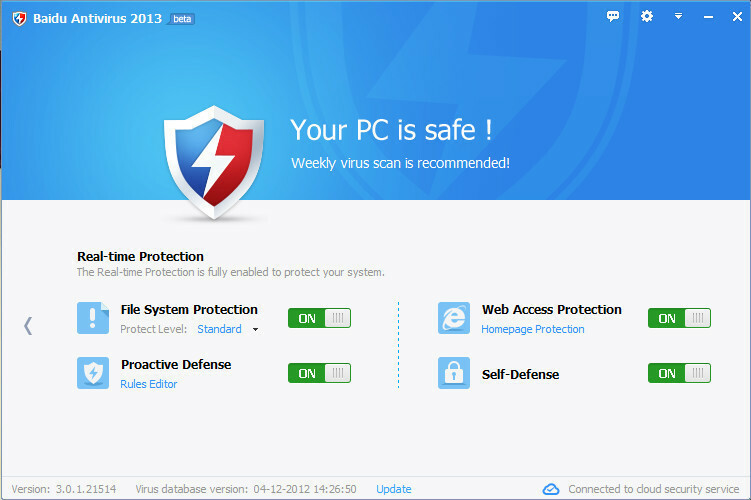 Baidu Antivirus is the security suite created by Baidu. Maybe you have heard this name or maybe not... but the searcher of Baidu is the third web with more traffic at a worldwide level and the main searcher of China. It is something similar to the Google of the Asiatic countries. So, coming from the Orient arrives Baidu Antivirus, a free alternative to the best well-known antivirus programs. The program promises a minimal impact on the performance of our system and a really fast and amazing speed thanks to the update of the database of viruses in the Cloud. Even that Baidu is a company born in Hong Kong, Baidu Antivirus offers local support and local databases to detect the viruses and threats of each area. And, even that it is not in Spanish, it is neither in Chinese, but in correct English. 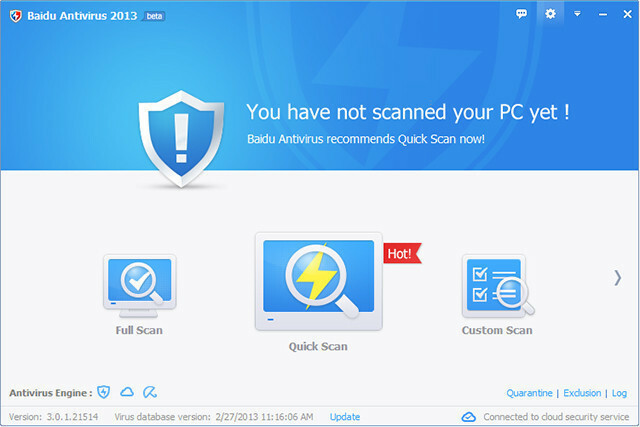 To face the detection and the elimination of the majority of the treats, Baidu Antivirus chooses automatically the antivirus engine amongst the list of possibilities that it has. As it is common in this kind of programs, it offers different scanners, more or less sensible, being able to make a fast analysis, complete or customized. It also has a quarantine system for unknown threats. Will Baidu Antivirus come into with success to our country and be a competitor to the huge security suites that are already consolidated? Easy, uncomplicated and effective in all its services and solutions !!! The best: Machine speed, simple handling !!! nothing to do with antivirus, is superior in everything and easy handling. It is the wonder serves you 100%%%% and I detect if any usb device is infected and clean. 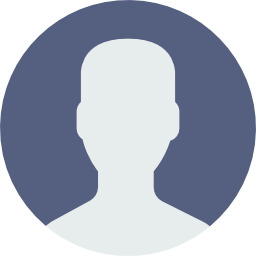 The worst: For anything I like their functions I recommend going to miss not clear who can not use it and brag. 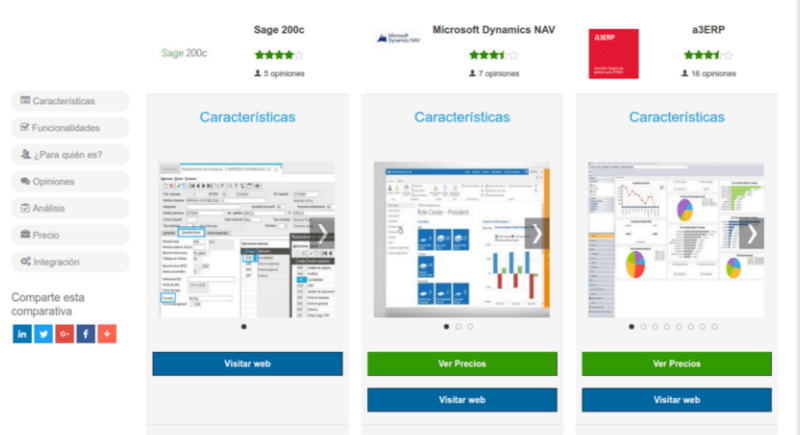 Baidu, got 1 month, is good, agile, dynamic, version is in English but you can change it to Portuguese. So I recommend it, it's very good. It could be excellent but more information is needed. The worst: What little information is used has three engines does not excellent.